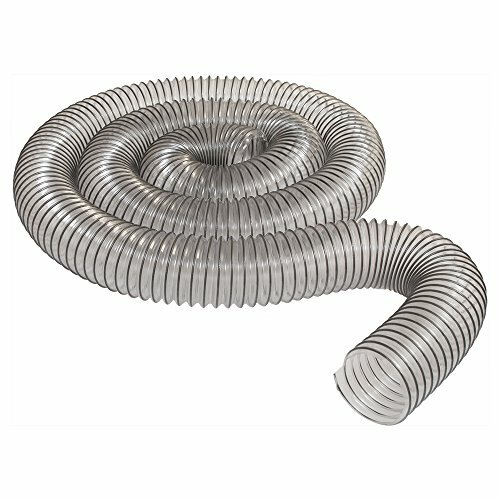 4" x 10' Ultra-Flex Clear Vue PVC Hose - MADE IN USA! 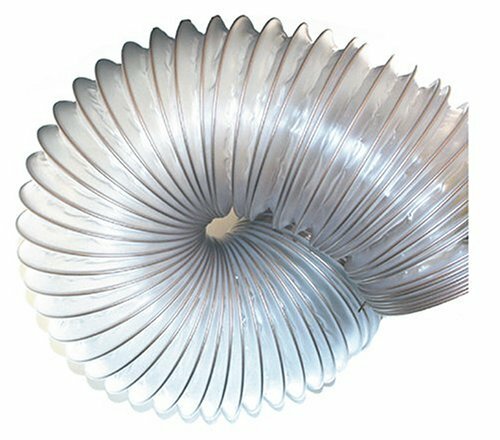 4" x 20' Ultra-Flex Clear Vue PVC Hose - MADE IN USA! Looking to extend the reach of a shop vacuum with an extra long wet dry vacuum hose? At an incredible 20-foot this shop vacuum hose is ideal. The 2-1/2-inch diameter provides a larger opening for debris collection and maximum airflow. 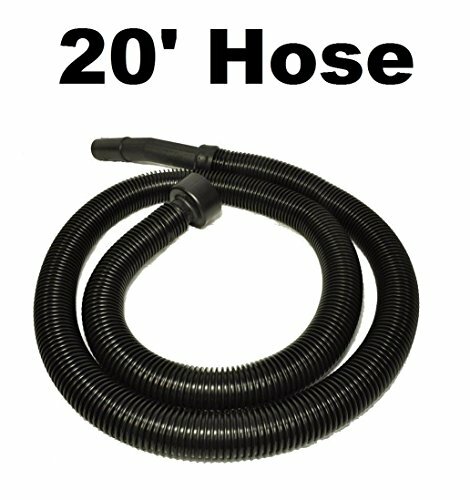 This wet dry vac hose Works with 2-1/2-inch shop vacuum accessories, and fits most shop vacuums with the standard 2-1/2-inch inlet port opening including most workshop wet/ dry vacs. 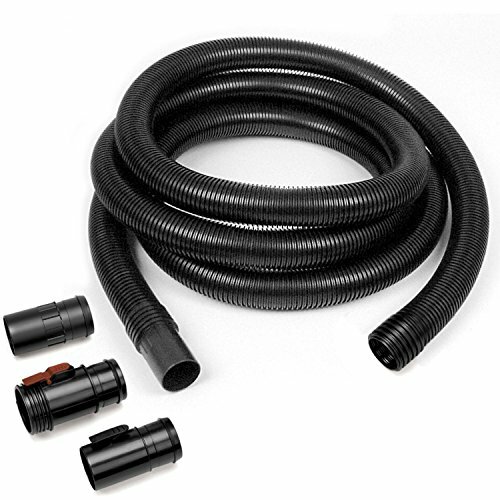 Using the included adapters This wet dry vacuum hose fits most shop vacuums with the standard 2-1/2-inch inlet port opening including workshop wet/dry vacuums. 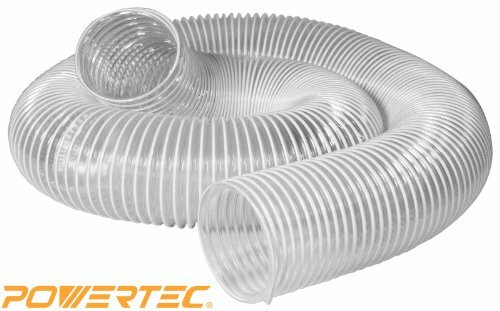 If you need a versatile dust collection hose that is durable, flexible and economical, than this PVC hose is the choice for you! Constructed from a reinforced PVC material with a wire helix, this hose will stand up to your everyday shop use. It is ultra-flexible to easily navigate in and around your workshop machinery. The Ultra-Flex Clear Vue PVC Hose is also clear, so you can readily spot any obstruction. Available in two different diameters (2-1/2" and 4") and three different lengths for each diameter (10', 20' and 50') all sold separately. MADE IN USA! 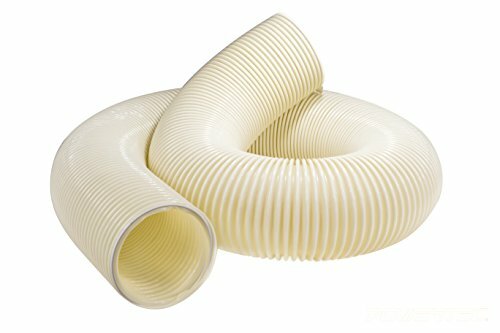 If you need a versatile dust collection hose that is durable, flexible and economical, than this PVC hose is the choice for you! Constructed from a reinforced PVC material with a wire helix, this hose will stand up to your everyday shop use. It is ultra-flexible to easily navigate in and around your workshop machinery. The Fulton Ultra-Flex Clear Vue PVC Hose is also clear, so you can readily spot any obstruction. Available in two different diameters (2-1/2" and 4") and three different lengths for each diameter (10', 20' and 50') all sold separately. MADE IN USA! Heavy duty PVC hose is a very durable and flexible hose that is perfect for the work shop. 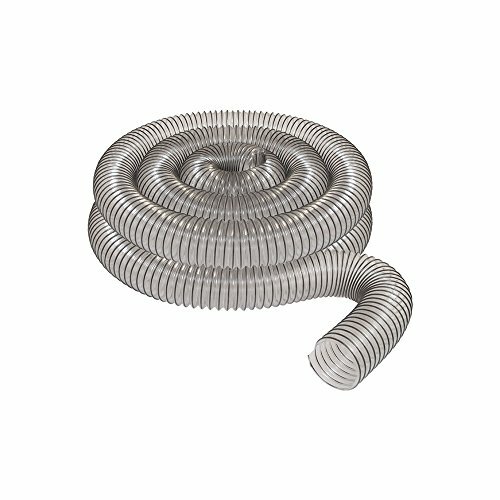 The PVC hose is wrapped around a steel wire that can be grounded easily. A tight bending radius allows you to maneuver the hose anywhere in your shop without worry about kinks. The PVC hose is wrapped around a steel wire that can easily be grounded. Tight bending radius allows you to maneuver the hose anywhere in your shop. 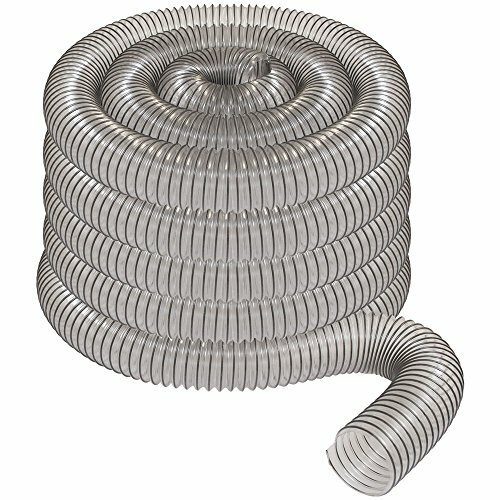 This heavy duty hose will not collapse under pressure from your dust collector. Hose is clear so you can see directly inside to spot any kind of obstruction. 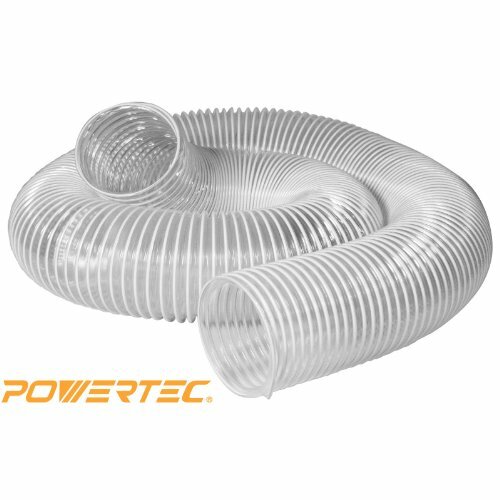 The POWERTEC Flexible PVC Hoses are heavy duty, super flexible, chemical resistant and abrasive and tear proof! Temperature resistant up to 176F. They are made of soft, high grade PVC with reinforced spring steel in the walls for greater durability. This super strong hose will not collapse under pressure from your dust collector and is ideal for sawdust, powder and ventilation. Flexible construction allows you to position the hose exactly where you want and clear material allows you to see inside the hose! When a need exists to extend the reach of a shop vacuum this 13 foot wet dry vacuum hose is perfect. The 2-1/2-inch diameter provides a larger opening for debris collection and maximum airflow. 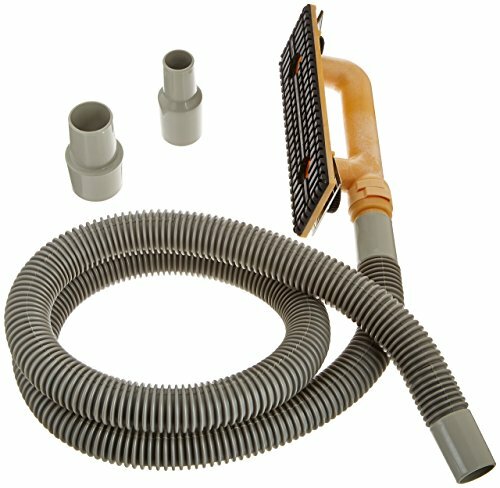 This wet dry vac hose Works with 2-1/2-inch shop vacuum accessories, and fits most shop vacuums with the standard 2-1/2-inch inlet port opening including most workshop wet/ dry vacs. Handheld power tools generate a lot of dust right where you least want it: directly under your nose. Unfortunately, the confusing array of non-standardized dust ports on handheld tools makes it hard to connect a dust hoseuntil now. 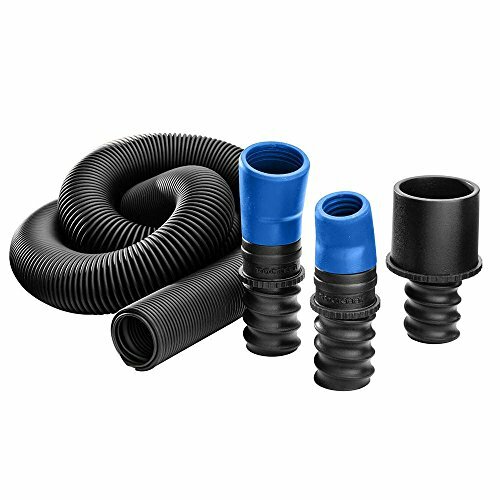 This new kit from Rockler includes two sizes of flexible rubber dust ports1'', 1-1/2'' ID that flex to fit on almost any tool, plus a 2-1/4'' port that connects to most shop vacuums, dust separators or our optional Cord and Hose Holder (#47321). The two tool-end ports are thoughtfully designed with a slight elbow that helps lift the dust hose off of your work. When using hand held power tools the tend to generate a lot of dust. Standard size Shop Vac hoses are too large and bulky and typically do not flex or maneuver all that easily. This small 1-3/16" O.D. 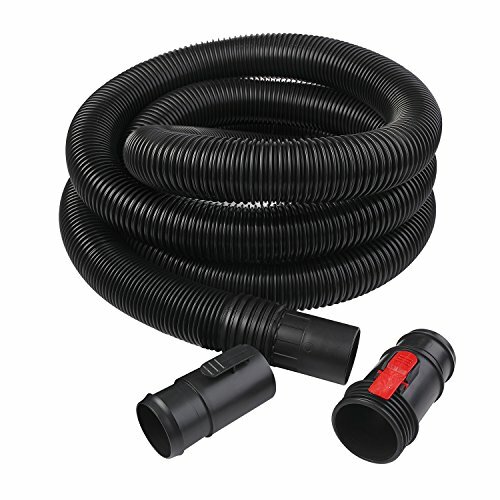 flexible dust collection power tool hose moves freely with your power tools making super convenient and hardly noticeable while its connected. Not only is this hose easier to manage, but using this hose with your tools will keep your shop cleaner and it can be quickly coiled up for easy storage. 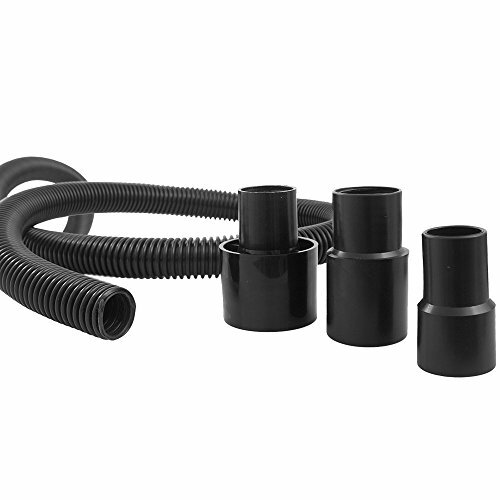 The kit comes with two different screw on flexible rubber fittings on each end of the hose which are ideal for connecting random orbital sanders, palm sanders, biscuit joiners or any other power tools with small dust collection ports. It can also be used on a number of smaller stationary tools like the K4 or K5 Kreg Jig for example. The small power tool hose will adapt to a 2 -1/4" I.D. Shop Vac opening using the taper vacuum adapter that comes in the box. PLEASE NOTE: Before you place your order check the size of your vacuum and power tool ports to make sure the hose and fittings will fit properly. The I.D. and O.D. 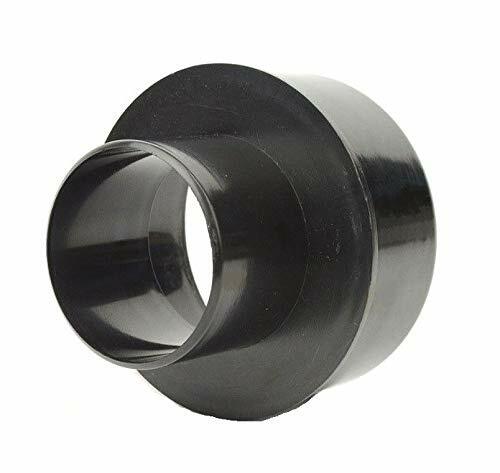 on the rubber end fittings and hose are approximate sizes and may vary slightly. Our small 1-3/16" O.D. 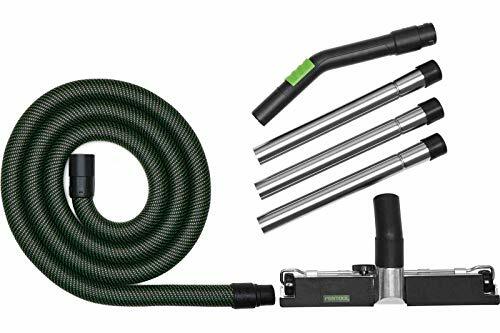 flexible dust collection power tool hose moves freely when connected with your power tools and vacuum. The hose with its specialized fittings, work with multiple power tools and jigs. The small end of the hose is ideal for connecting random orbital sander, palm sanders, biscuit joiners or any other power tool with small dust collection ports. This kit will also work with popular tools like the K4 or K5 Kreg Jig. Using this hose with your tools will keep your shop cleaner and can be quickly coiled up for easy storage. Included inside the box: 1 each ten foot long 1-3/16 O.D. 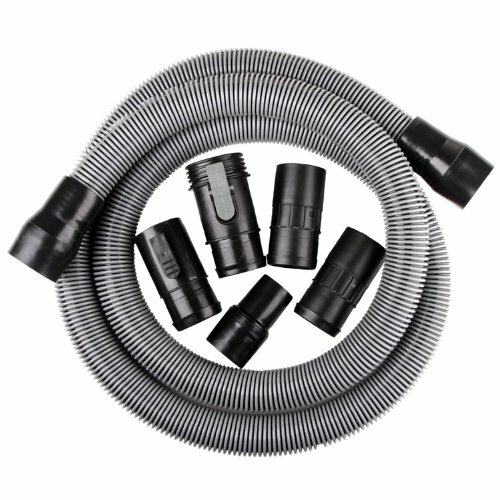 small flexible hose, 1 each small flexible rubber screw on fitting, 1 each large flexible rubber screw on fitting and 1 each plug in shop vacuum adapter that will allow you to connect the hose to most shop vac's. The small screw on rubber fitting has a 1 I.D. with a 1-3/16 taper up to 1-1/4 O.D. , the large screw on rubber fitting has a 1-1/2 I.D. with a 1-25/32 O.D. The vacuum adapter has a 2-1/4 taper up to 2-5/16 O.D. on the large end and the small end of the adapter is designed to plug into the end of the large flexible rubber screw on fitting. The I.D. and O.D. on the rubber end fittings and hose are approximate sizes and may vary slightly. PLEASE NOTE: Before you place your order, please check the inner and outer (I.D. and O.D.) diameter of your vacuum ports and power tool ports to make sure the hose and fittings will fit properly and work for your needs. 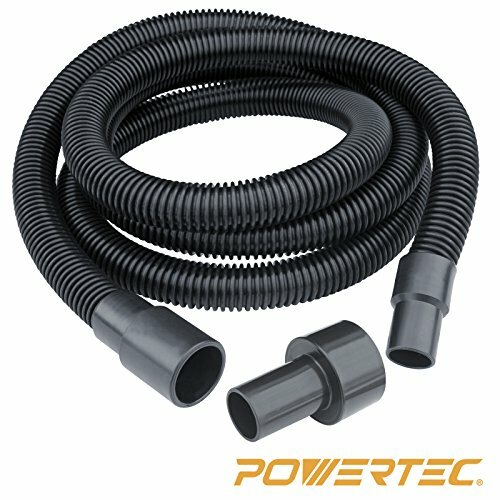 The POWERTEC Dust Collection Hose with Fittings + Reducer 2-1/2" to 1-1/2" ensures excellent work room air quality and shop cleanliness! Protects the integrity of your craftsmanship and the health of all shop workers. This superb dust collection system is compatible with Porter-Cable Random Orbit Sander models 7334, 7335, 7336 and 333VS. 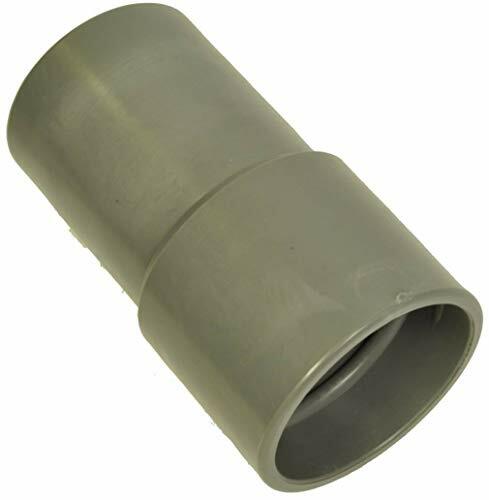 The hose includes two fittings on the ends: 1-3/4" OD/1" ID and 1-3/16"OD/1" ID and also includes 2-1/2 to 1-1/2 reducer to fit most palm sanders and Shop-Vic products!. Carpet Cleaning - Wand 1.5" Hose Cuff. Works with hoses from vacuums, scrubbers, pool equipment.